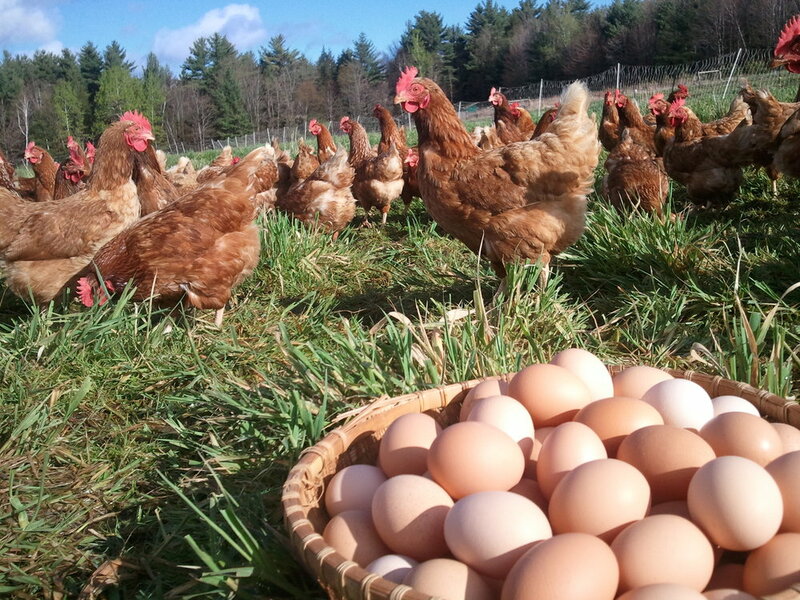 Solar Eggs - Jericho Settlers Farm — Jericho Settlers Farm, Inc.
Our large flock of hens enjoys life on pasture in the summer and stays cozy in a hoophouse in the winter. Why do we call them solar eggs? For many reasons: all the electricity for the farm is generated by our six solar trackers, the hens thrive on pasture where they forage the plants that are soaking up the sun's energy, and the hens' egg yolks are brighter than the sun - a rich orange color thanks to all the beta carotene in the green plants that the hens eat while on pasture. 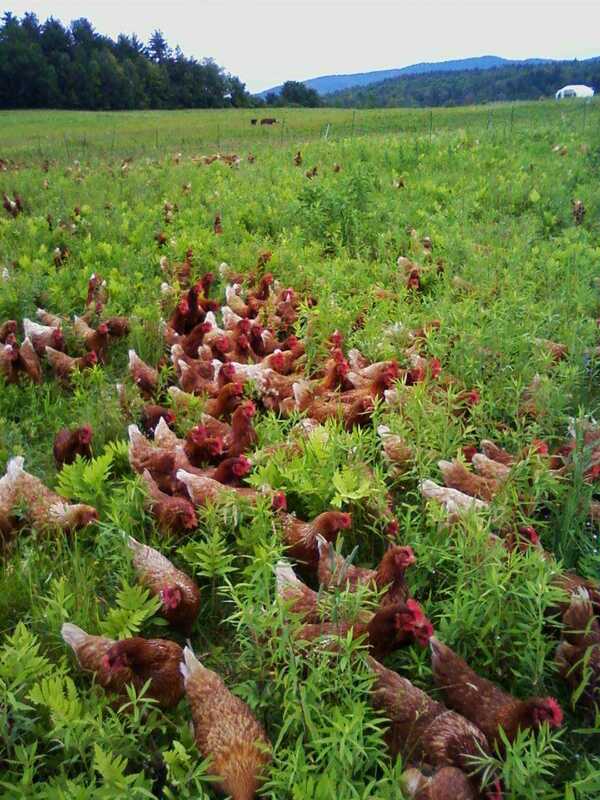 In addition to their pasture foraging our hens eat NON-GMO grain. The best way to eat Settlers Solar Eggs - Sunny side up! 1. Settlervore Share: each pickup includes Settlers Solar Eggs, cheese from Doe's Leap Farm, Sweet Rowen Farmstead, or Boucher Farm and fresh bread from Running Stone Bread, O-Bread Bakery, and August First Bakery. You'll also receive fresh or frozen berries, farm-made salsa and pickles, and more. 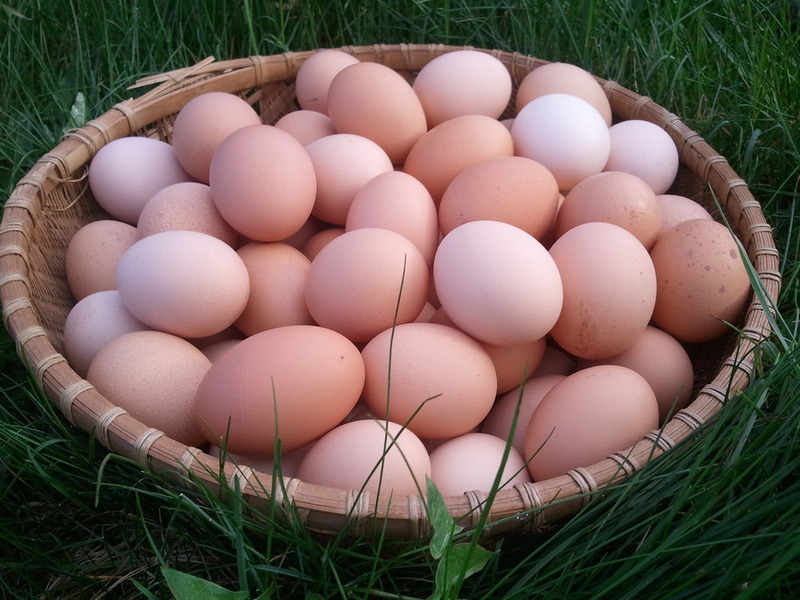 Please note that eggs are supplied every other week, which means they are included in every pickup in the spring and winter seasons and at every other pickup in the summer season. 2. Buy them by the dozen at our Farmstand, open daily 8am-6pm. Current price $6/dozen. 3. Also available for purchase at these fine establishments: City Market, City Market South End, Jericho Market, Healthy Living, Richmond Market, Sweet Clover Market, Shelburne Market, and Village Market of Waterbury.